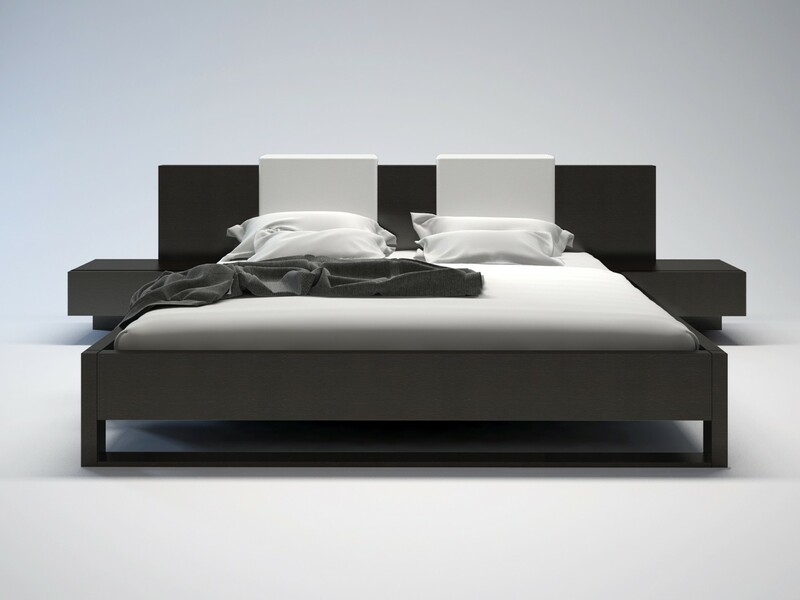 The Monroe platform bed is perfect for creating a look of Zen in your bedroom retreat. 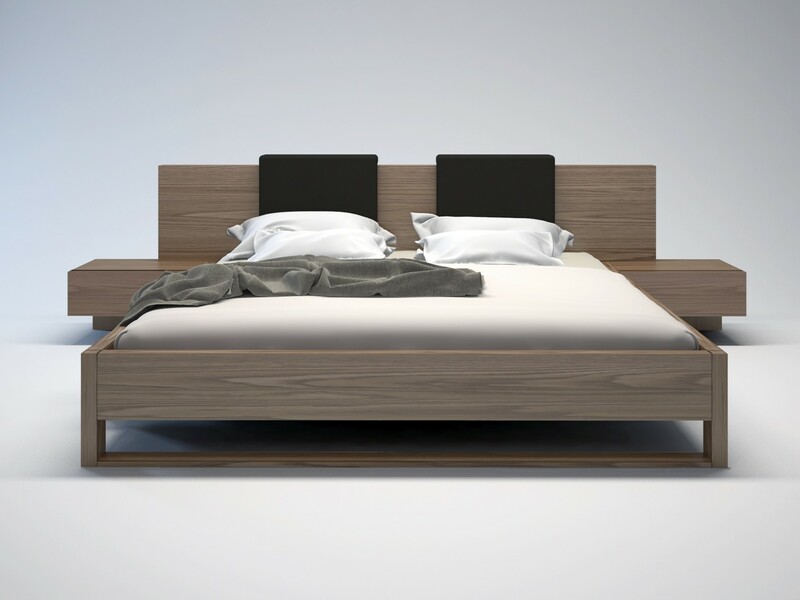 Both sleek and warm, the Monroe features an extended wood-finished headboard overlapping two "floating" single-drawer nightstands which are seamlessly attached to the bed frame. 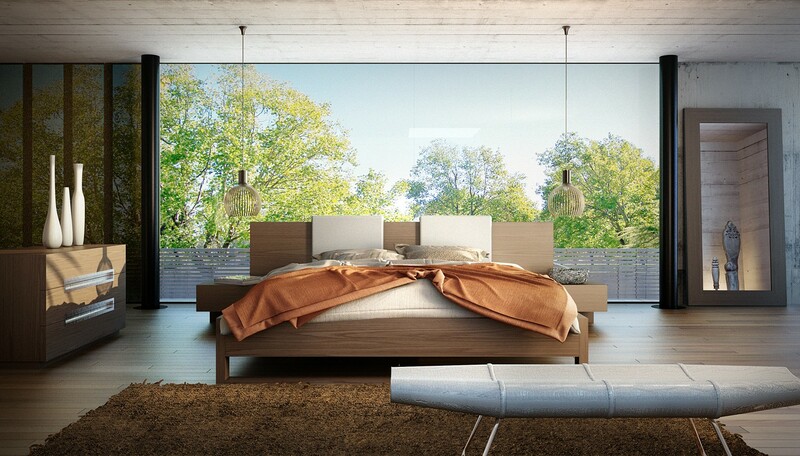 Flexible wood slats sit inside the bed frame and allow air to circulate beneath the mattress. No box spring necessary. Mattress sits 5" inside frame. Includes two L-shape backrest pillows in white eco leather. Platform height measures 14 inches (5 inch inset). Available in California-King, Standard King, and Queen sizes. Available in wenge or walnut wood finishes. Assembly required. Mattress not included. Imported.